If you’ve ever had a dachshund, you know they are PIGS. Honestly. My little Taz will eat almost anything, and no matter how much we feed her, she acts like she’s starving. And I don’t mean she acts “hungry.” I mean she acts like she may perish at any moment if she doesn’t get something to eat immediately. It’s ridiculous. BUT, obviously I have to manage her food intake otherwise she’d be so fat she wouldn’t be able to walk! So it’s a constant battle – keeping Tazzie happy vs keeping Tazzie healthy. Thank God Mommy’s in charge! How Do You Know Which Food is Best? I worry a lot about what food Taz should be eating. It’s so confusing with all the pet food brands out there. Which is better? Dry food? Canned food? And trying to learn which ingredients are good for her or bad for her – never knowing if the information I’m getting is true and accurate or just a sales pitch from a dog food company. It’s stressful because I want to make sure she’s getting what she needs and I certainly don’t want to give her anything that’s not 100% good for her. I got a lot of help from this video by Dr. Karen Becker. She’s done a lot of training for people about pet food – you can look on YouTube for more of her videos where she gets into great detail about pet food quality, ingredients, etc., and you can also read more of her advice about pet foods HERE. But this video is a good one to start with, because it explains the differences between different types of food – it’s the best source I’ve seen thus far for best pet foods ranked. I read something about this once that has really helped me over the years with my pets, and that is, “You should be feeding your pet the best quality food that YOU can afford.” If you can afford top-of-the-line, great, but if you can only afford department store brands, then that’s OK. 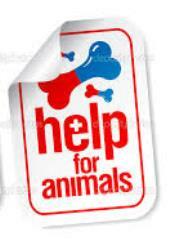 I think the most important thing is that we do the best WE can for our animals. Believe me, the fact that they have a home and our love is the most important thing! My American Eskimo has a sensitive stomach. So we only feed her Blue Buffalo chicken and rice, I believe is the flavor she gets. Hard food. Anything else and her poor little stomach gets upset. Even canned BB food upsets her stomach. So basically, it was trial and error with her. You have great advice, and pets are the same as people when it comes to, “you are what you eat”. I’m glad you were able to find something that worked. I think Blue Buffalo is a good brand. Wow I have never been thinking about cooking pet food for my dog! I have a husky right now and I always struggle how to feed him healthier. The commercial dog foods are really unhealthy and full of additives and preservatives. Before buying the book I would like to know that kind of food am I learning from this book? What benefits will my dog get from it? It’s mostly about cooking natural, whole food. For example, for Taz I might cook ground turkey, chicken or beef, throw in some “organ meat” such as liver or heart. Then maybe a sweet potato, vegetables and a fruit like a few blueberries. The book gives lots of ingredient suggestions. The biggest benefit, in my opinion, is that you’re eliminating all the preservatives and downright toxic stuff that’s in some commercial dog food brands. 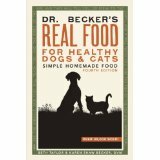 Whole, natural food is better – for pets and for us! Thanks so much for the comments. Previous Previous post: Healthy Paws Insurance Review – Healthy Paws Wins for 2012, 2013, 2014, 2015 and 2016!